First of all start with this: Children in need regeneration special. Now, onto the episode! The newly regenerated Doctor, suffering side effects from his regeneration, crash lands the TARDIS in London. He exits to meet Jackie Tyler and Mickey, and collapses in front of them. The Doctors regeneration energy attracts pilot fish and following close behind them, the Sycorax. The Sycorax mind control 28.2% of the population (those with A+ blood type) and threatens to kill them if the humans don't surrender. the first episode of Doctor Who to premiere on Christmas Day since "The Feast of Steven", the seventh part of the 1966 epic twelve-part serial The Daleks' Master Plan. David Tennant is credited as 'The Doctor', as opposed to Christopher Eccleston who was credited as 'Doctor Who'. The change in the credit was done at Tennant's request. The Doctor comments that the bathrobe and pyjamas Jackie has given him to wear are "very Arthur Dent." Arthur Dent is a character in The Hitchhiker's Guide to the Galaxy, created by former Doctor Who script editor Douglas Adams. Also, Jackie's line "Anything else he's got two of?" is a reference to the same line spoken by Arthur Dent in the 2005 movie adaptation of The Hitchhiker's Guide to the Galaxy. We might end up with two Series 2 Episode 1's because this doesn't make sense as a Series 1 episode. I mostly liked this episode, except for two things. 1. It felt like it took FOREVER until we got to see the new Doctor start doing his thing. Jackie was annoying at the best of times, but when what feels like the first half of the episode is focusing on the antics of the Tyler family and OH GOD I JUST WANT TO SEE WHAT THE NEW DOCTOR IS LIKE SO I CAN FORM AN OPINION AND POST ABOUT IT ON THE INTERWEBZ, it's even more annoying. 2. The apparent rewriting of Harriet Jones' future. I really liked the tidbit they set up for Harriet Jones' future at the end of "World War 3" last season, and the decision here to essentially destroy that future felt cheap, even if it was done in a cool, almost understated way. Harriet Jones was perfectly correct and the Doctor is morally complicit in the murders and thefts he sent the Sycorax off to commit before the grown-ups took charge. Just going from memory here, way too much queued up for a fifth viewing. The minute I saw the bathrobe I knew it was an Arthur Dent shout out. It was brilliant. The sleeping Doctor breathing out bits of regenerative stuff was great. He woke up when he was ready and this gave the rest of the cast something to do. I remember being anxious for him to awaken but in hindsight it worked. You cheered when he got up! Allons-y! Tennant brought such a sense of joy and wonder to the character. Mind you, Eccleston was great and I sorely missed his Doctor. Tennant had a different energy and I think Eccleston harkened back to an earlier, more serious Doctor. Of the reboot, Tennant is #1, Eccleston #2, and Capaldi is #3. I'm already wondering who comes after Capaldi or if they'll end the run. ***To get semi-serious for a moment, this is why the Doctor's constant sacrifices for the Earth are so problematic. Even going solely by the history of the Who universe, humanity is terrible, has done terrible things. How are the Doctor's humans more deserving of protection and forgiveness than any other Big Bad in the Who universe? I always thought this was so promising. 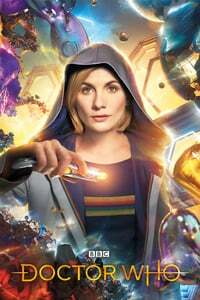 The idea of a Doctor with no second chances was potentially quite fun, although wasn't really capitalised on at all really. He gets ruthless moments from now on, but mostly its same ol' same ol'. All in all one of my favourite christmas specials, I thought the plot was quite cute and clever, and the sword fight, while ridiculous, was quite fun. Sure, the whole "I can keep regenerating" thing was a fudge, but it worked fine in the context, and as regeneration is so rare it is less of a big thing. We are given no reason whatsoever to believe they will change their mind. Their organization exists for the purpose of piracy, murder, theft, and plunder. Nothing of what we are shown gives us any reason to believe that they are off to do anything but find another planet to raid, more people to threaten and kill. We are not shown any reason why they would choose to do otherwise. The idea that they might make a different choice next time is merely a convenient excuse for the Doctor's pompous, self-righteous, hypocritical pacifism. And Harriet's right- the Doctor comes and goes as he pleases. He does what he can when he's present, but for every event he involves himself in, a million play out without his involvement. He's not really mad about the dead Sycorax, he's dead because he won the way he wanted to and somebody else overrode that. He's mad because he thought he was getting his way, and he wasn't. Was Harriet Jones right ? You realize the Doctor has killed right? Even going solely by the history of the Who universe, humanity is terrible, has done terrible things. The regenerated Doctor finally waking up after smelling spilled tea ranks as one of the most English moments ever in Doctor Who. On the question of whether or not Harriet Jones was right, I think you can approach that from the POV of a viewer, and the POV of the characters existing in this fictional universe. As viewers, we know that when the Doctor does something, he does it knowing that it's the best decision, which will have few (if any) repercussions. It's what we, as viewers, have always seen him do. He's practically infallible. As a viewer, if the Doctor thought letting the Sycorax go was the right move, then it absolutely was. But Harriet Jones, the character, does not know this. She may have had briefings on the Fictir and how he's saved us many times, but as far as she knows, he's an alien with a God complex. She has the means to defend her people and while she appreciated the Doctors help, she can't be sure that the Sycorax won't come back again one day. When you look at what Harriet Jones did from both of those positions, I come to the conclusion that what she did was neither right nor wrong. It was a decision made by a fallible character who doesn't own a TARDIS using imperfect information. It was neither right nor wrong. It just was. From my point of view, (as a viewer I mean) The Doctor is a short sighted idealist. He takes the morally easy route out any dilemma, rarely considering the implications of his actions. "As viewers, we know that when the Doctor does something, he does it knowing that it's the best decision, which will have few (if any) repercussions. It's what we, as viewers, have always seen him do. He's practically infallible. As a viewer, if the Doctor thought letting the Sycorax go was the right move, then it absolutely was." It's not perfectly executed, because with the Tenth Doctor era there's always the issue that his moments of self-aggrandizement blur into his moments of true greatness and it sometimes feels like RTD himself has forgotten when he wants us to be applauding and when to be criticizing, but it's an interesting move. That is actually a really excellent point bettafish. Though I will say mind wiping Donna was probably for the best - she'd have died if he hadn't. This is probably a discussion best saved in full for when we get to s4, but Donna chose death over having her memories wiped out and her personality reset, and the Doctor overrode that (literally forcing his way into her mind while she begged him not to). The ethics of the situation are at best deeply fraught and it's presented as "boo hoo the Doctor lost his best friend now he's standing in the rain looking sad." Yeah, I think RTD started with subverting the "Everybody lives!" dynamic of Nine, and really wanted Ten to start experiencing guilt and confusion and self-doubt as a way of adding depth to the character, but got a bit lost in the weeds a lot of the time. I think part of the ... shall we say ... moral infallibility of humans, in the Doctor's ethos as expressed here, is that they are still mostly stuck on one planet and not out depredating and invading and exploiting and genociding beings on other worlds. It's a sort of imperfect inversion metaphor for the British (or American/Western) Empire, because of course as noted we do a lot of that stuff, just to other humans. I guess what I don't like about it is that it sets up humans as perfect victims, which helps raise the stakes for those semi-annual existential threats from which the Doctor saves us, but is really problematic if you want it to be any sort of philosophical critique of the state of man or society or whatnot. Ik ben afgesneden: I remember being anxious for him to awaken but in hindsight it worked. You cheered when he got up! Indeed. It was quite well done too. As the alien language gradually changed over the course of a few sentences to English. The look on Rose's face really sold it. As for whether Harriet Jones, Prime Minster, was in the right, that's a very tough call. I think the right decision would have been to concentrate on both decreasing the response time for the Torchwood weapon and increasing the range of Earth's early warning system. 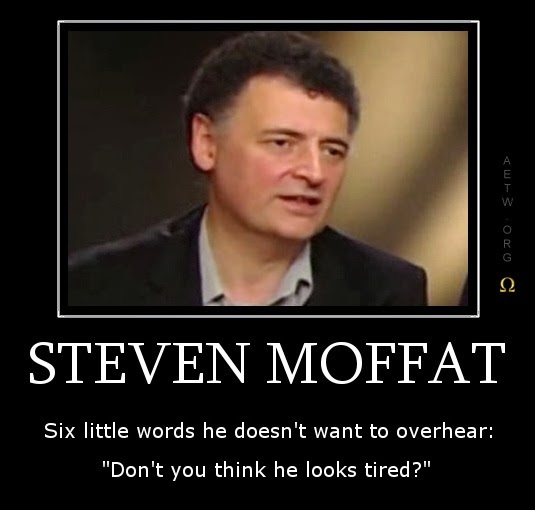 So the ending, the doctor implies that Harriet Jones (one of the most capable leaders Britain has ever had, architect of a new golden age, and taker of hard moral choices) lacks stamina, is tired, is unfit for the role. This leads the way to the election of a populist, egotistical, (blond) monomaniacal authoritarian who uses an army of fiercely loyal egg shaped drones to override a system of checks and balances and seize full control of the government.